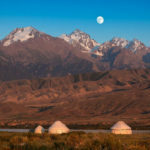 Kazakhstan can safely say about themselves that are ancestral traditions and modern view of the world live in harmony. Unlike other countries, have decided to exchange the national colors on the achievements of modern technology, the Kazakhs are constantly multiply their rich cultural heritage. Respect for the Kazakhs to their traditions can be traced in almost all aspects of life in the country. For example, traditional wedding ceremony, communication with relatives, ancestor worship, and so on. finding a place to perform the ceremony (open space in the reservoir). 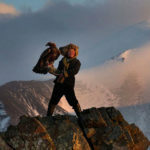 Despite a certain amount of sacrifice, Kazakhs even thought they could not afford to take without due respect for any representative of fauna. Simply inconceivable was the fact that any hit or insulted Kazakh horse, camel or dog. Certain types of animals, such as sheep or camel, endowed with the properties of the Kazakhs talisman. 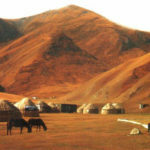 An important place in the life of Kazakhs took fire. No one could not have imagined in Kazakhstan on how to fill the flame with water or just step over him. These actions were seen as outright blasphemy. For many centuries, the flame was part of the set of ceremonies. For example, the mother of the groom, heating palm over the fire, drove them along the face of the future bride of his son. Such actions would have to banish all evil spirits and ensure the future of the union of peace and prosperity. Many people know that the Oriental peoples have always been a special attitude towards elderly people. Place at the table or in the bedroom, where rest or took food, the old man could not, under any circumstances, take a representative of the younger generation. The birth of a child – an extremely important event in the Kazakh family life. It was thought that the baby should be given a name, which will be a guiding light for the rest of life. 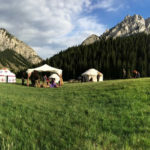 Kazakh culture endow the name of special properties, able to directly influence the nature and human development, such as « joy » or « Fighter » could really turn the child into good, or the bravest of all. An independent child became at the age of ten years. Since that time, he could own lambs graze. With this feature connected a well-known Kazakh proverb – « the age of the lamb, » which means ten years. Exactly three years later, when it is « the age of the sheep, » the boy has entrusted this flock. 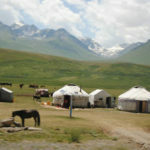 « Age of the horse » for the Kazakh youths lasted from thirteen to twenty years. At forty, when the Kazakh man has enough experience in his life comes the « king’s age. » Since then it is believed that man has a right to rule the people. 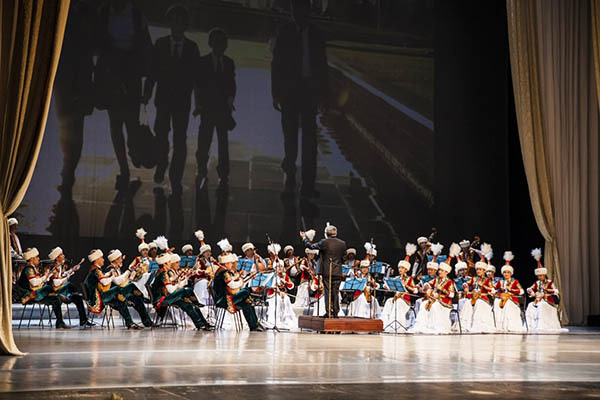 Kazakh traditions, bringing up in people patience, respect and the desire to constantly improve their level, have allowed a considerable number of young men to become worthy successors of national traditions.